Cat eye makeup was popular in 1960’s and it regains popularity in 2008 when famous celebrities, including Angelina Jolie and Amy Winehouse, start wearing this style. It became the part of the fashion magazine and a red carpet. If you have the right tools then it is very easy to do at home. This makeup style consists of curved lines extending from the eyelid to brow-bone; it elongates the eyes and a break from the normal eye liner routine. This look can be created for modern day setting whether it is for work or a night in the town. Follow the following steps to get look popularized by fashion forward starlets. Prepare your eyes for makeup by applying concealer, if you have any blemishes or coloration then applies concealer and foundation. Choose eye makeup which you want to wear, such as smoking, Halloween, dramatic or cat eye costume makeup. By using a black eyeliner pencil to draw a smudged line from the eyelid to the lash line, on the upper and lower eyelid. Apply dark eye shadow base coat above the eyeliner and blend this eye shadow with the help of cotton or eye shadow brush to get smoky look. Now apply the second dark shade on the brow-bone which you have chosen. 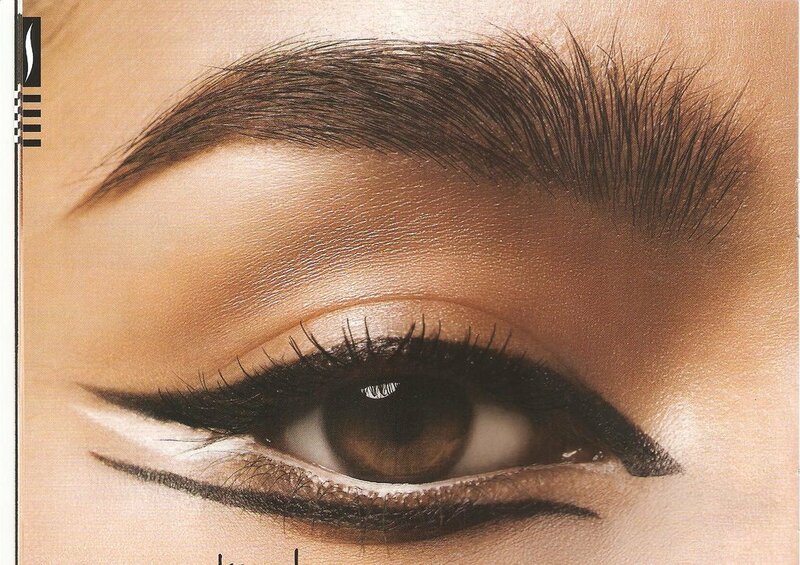 Apply the liquid liner on the upper eyelid, starts thin on the inner corner and get thicker towards the lash line. Make sure the lines should be smooth and clear. Blend another coat of eye shadow, to get dramatic cat eye look, you can also use custom colors to get cat eye costume makeup. Highlight with lighter eye shadow below the outer edge of your eyebrow. Now apply black mascara to get the final cat eye look. Luckily you can get nine easy steps for cat eye makeup very easily at home but remember it need smooth and fine lines so make practice on barren eyes. Cat eye makeup was popular in 1960’s and it regains popularity in 2008 when famous celebrities, including Angelina Jolie and Amy Winehouse, start wearing this style. Easy and great post for eyes makeup especially cat eye makeup. I loved it.